This card has +2 power for each color it has. 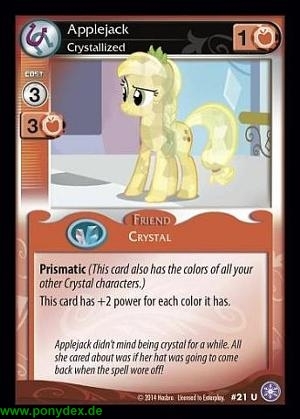 Applejack didn't mind being crystal for a while. All she cared about was if her hat was going to come back when the spell wore off!